Yala National Park, rather than a decidedly dark place, is actually Sri Lanka's premier wildlife spotting area, It's not quite Kruger Park (in South Africa), but on jeep safaris in the park you can still see a lot of wild elephants, crocodiles, huge monitor lizards, eagles and other magnificent birds, and if you're really lucky, maybe even a leopard. It's a sudden and sobering sight. 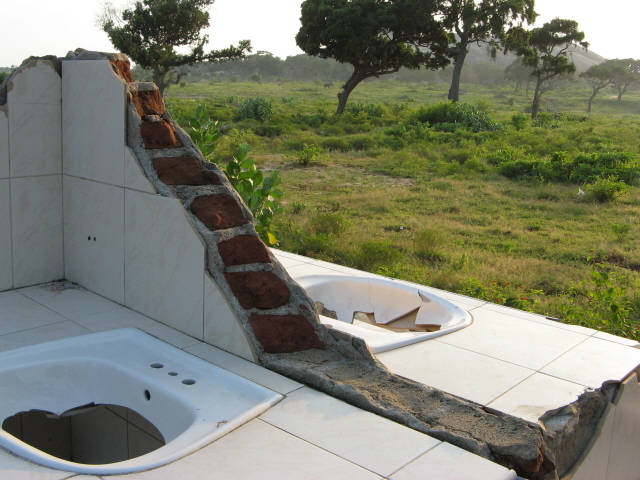 Of the house hardly anything remains, just the foundations and a tiny bit of tiled wall of a bathroom with smashed up hand wash basins and toilets. 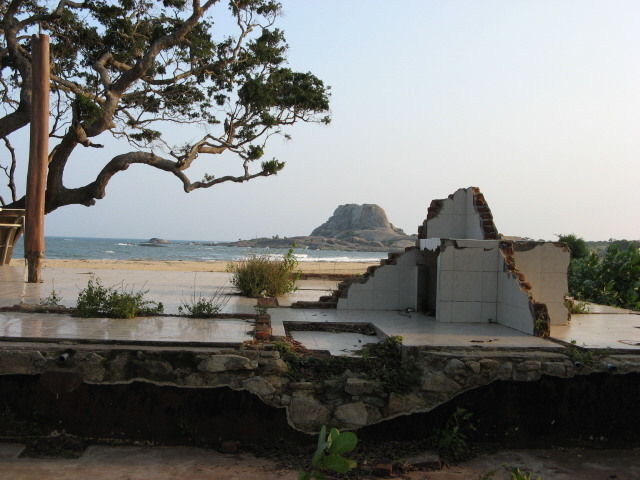 A memorial stone explains what happened: "In memory of the forty seven lives taken by the tsunami / as an act of past revenge [sic! 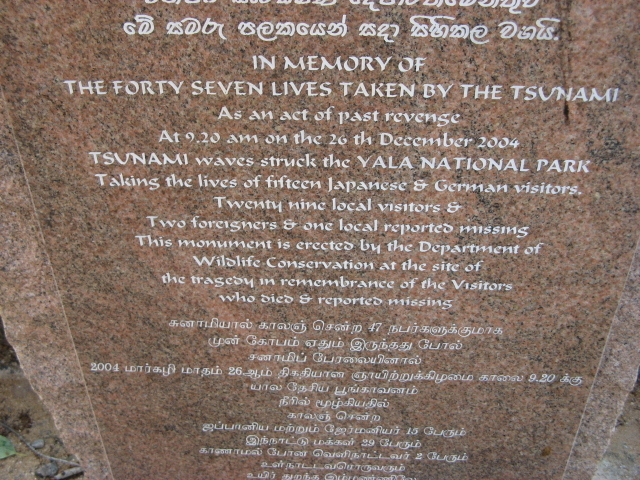 – I don't know what they mean by this either] / At 9.20 a.m. on the 26th of December 2004 Tsunami waves struck the Yala National Park taking the lives of fifteen Japanese & German visitors, twenty nine local visitors & two foreigners & one local reported missing …". Despite the slightly dubious logic of these lines, it does hammer it in what a ravaging disaster the tsunami was, even though this was but a tiny element of the full scale of the horror. 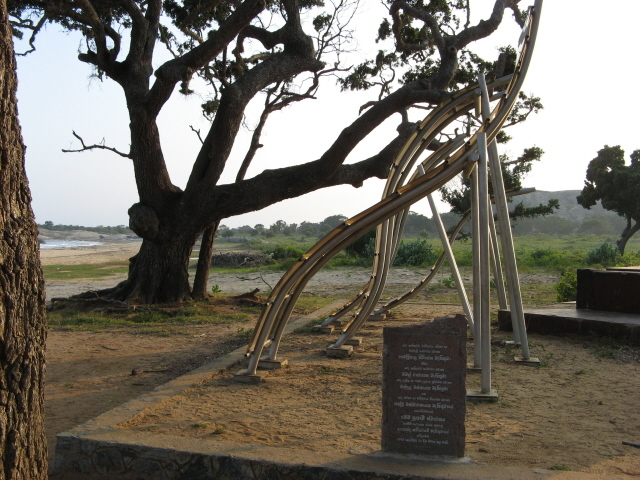 Next to the house's foundations a steel monument representing towering waves has been erected. To get there you'll have to be on one of the safaris in the park – they usually stop at the memorial (otherwise ask for it). 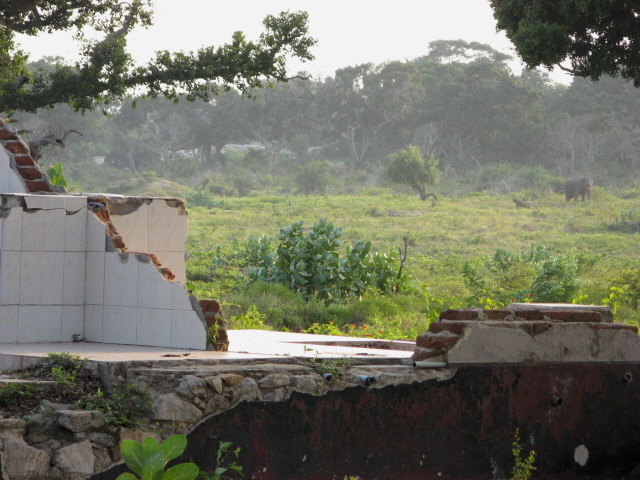 The safari is an enjoyable excursion anyway, and the tsunami memorial just a dark addition. Unless you're really not the type for wildlife spotting it's well worth it. 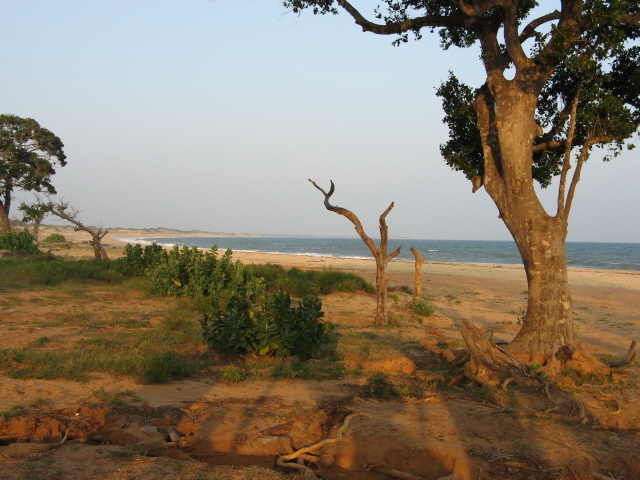 Location: near Palatupana, just inland from the beachfront, at the southern end of Yala National Park, in the south-east of Sri Lanka.